The Ultimate Wedding Planning Party: Win a gorgeous floral arrangment by Maria Lush Flowers! 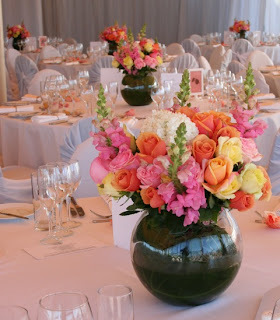 Win a gorgeous floral arrangment by Maria Lush Flowers! How stunning would a fresh arrangement of seasonal flowers made by a professional wedding and events florist, be at your next dinner party? Enter our competition on Facebook now to win a beautiful arrangement by Maria Lush (www.marialush.com)... you even get to keep the vase! Be quick, competition closes on 4th of September!